The present invention belongs to the leisure and entertainment area and consists of a new advertising promotional gift concept, that is, a waterproof pouch made of polyethylene or similar material, characterized by having a relatively large printing advertising area. This pouch is intended to be distributed on beaches, river areas, swimming pools, and water parks, etc, for promotional purposes (brand or product promotion for the entity that gives the pouch), so that vacationers that receive this promotional gift can use it by holding it to their respective trunks (shorts or bathing suits). This is the novelty protected by the patent! To allow this invention to be used, the user must first put the waterproof pouch alongside his trunks, insert the pouch folder rectangular area inside the trunks, pass the trunk cords through the pouch holes and tighten them firmly and stably. The pouch can also be transported by the use of a neck string, also included in the promotional gift offering. The cost of each pouch is less than 2 dollars, already 3 color printed. This invention is protected by a provisional patent application. I have recently shown 3 patented inventions at the Geneva International Invention Fair (April'14), and I was awarded one silver and another bronze medals. 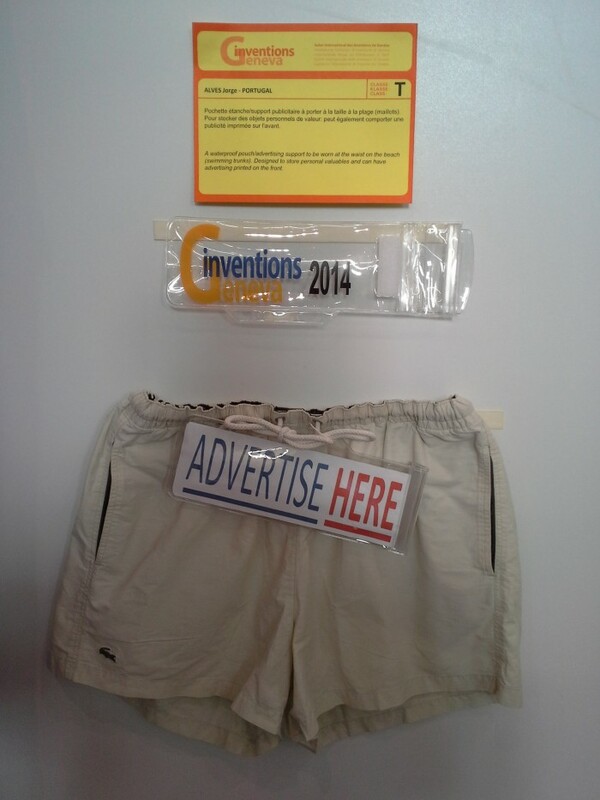 One of my inventions was also considered the best invention of the Fair besides being awarded the silver medal. 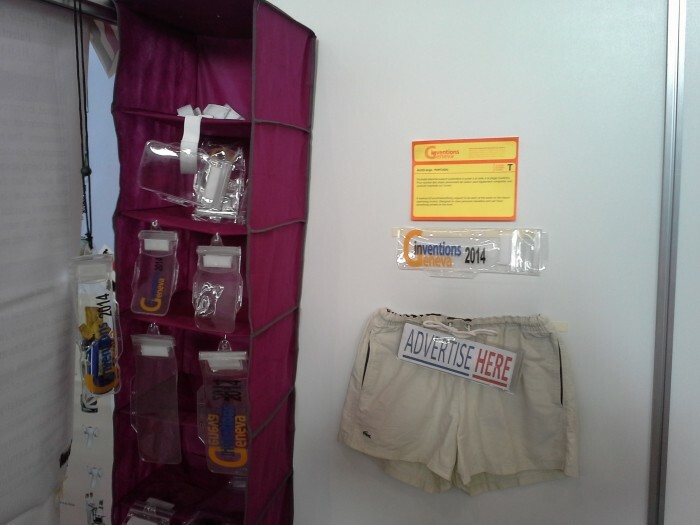 This project - promotional beach pouch - has won the bronze medal. Page created at 2019-04-26 6:04:43, Patent Auction Time.